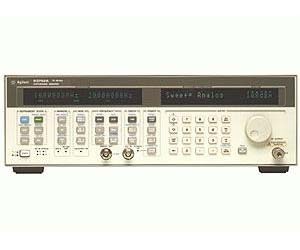 The Agilent 83752A sweeper brings outstanding synthesized performance to the component-test marketplace. It delivers the best performance for the price in general purpose benchtop, swept test or scalar applications. This sweeper provides superior accuracy and stability while maintaining the speed of an analog source. Fully synthesized CW, stepped and ramp sweep modes are available in broadband and narrowband operation. The synthesis capability is particularly useful for the characterization of narrowband devices, in which the frequency instabilities of open-loop sources become most apparent. Excellent output power flatness and accuracy can be translated to the input port of the device under test with the power flatness correction feature of this source.